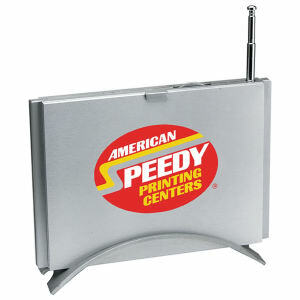 Broadcast your marketing message directly to your audience with our custom printed promotional radios! 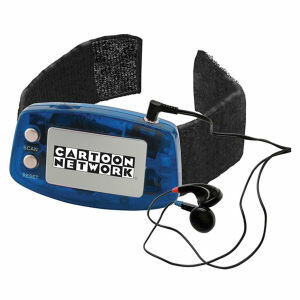 The personalized radios at IASpromotes.com are great for trade shows and conferences, especially ones with a communications or technological theme. 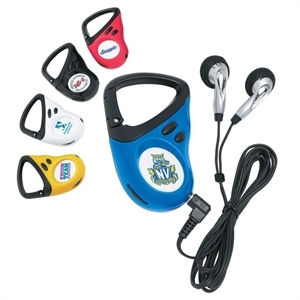 Promotional radios are also great to use as a gift with purchase promotion for your business, and are sure to provide hours of listening entertainment for customers. 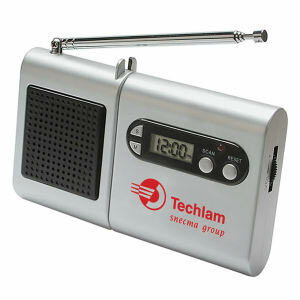 When clients turn up the music, they will show everyone your brand with these customized logo radio giveaways. 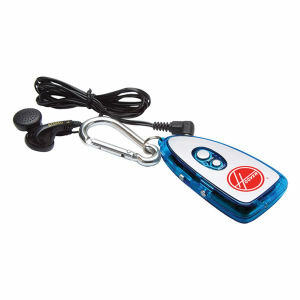 Our quality promotional radio products are made to last and come in many different colors, shapes and sizes from traditional to novelty styles. 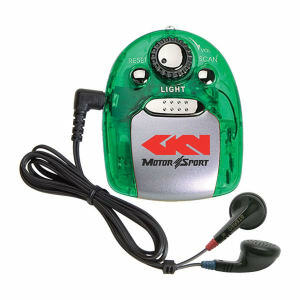 Imprint your company name, logo and contact information and prepare to turn up the volume on your marketing campaign!